● It is hydroponic system for organic solution. ● Nitrate nitrogen in vegetables can be reduced by using organic solution. ● Ring pump which can stably drive under high viscous organic materials is used. 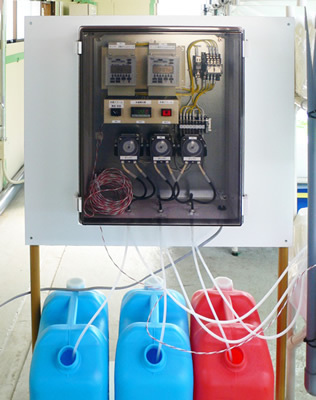 ● Weekly timer is used to control liquid solution closely.